Did you read the Laura Ingalls Wilder books growing up? I did. Several times. Oh, I love those sweet stories! I especially love all the parts about their food. I still remember reading about kettles of steaming maple sugar, freshly churned butter, attics filled with pumpkins, carrots, turnips and onions, homemade doughnuts, roast goose, johnny cake and salt pork, apple pies, and loaves of sourdough. The idea of living off the land seemed quaint and refreshing and enchanting, even to my little girl mind. I couldn't wait to get to another description of what was on their table! The thought would sometimes cross my mind, though, of what they didn't have. 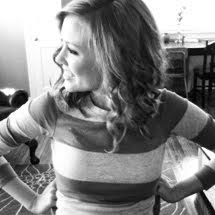 I remember thinking, "Laura never tasted peanut butter and jelly! If only they had had peanut butter and jelly sandwiches, they would've come in so handy when they were traveling in their wagon! "(This was, essentially, a tragedy to a child like me.) And what about pineapple? Did they have watermelon? And.... no bananas. Imagine. A world without bananas. I still find myself pitying them sometimes. No bananas means no banana bread, and that is something I can't fathom. Let it always a lesson to me: Be grateful for your banana bread! Laura Ingalls didn't have it. 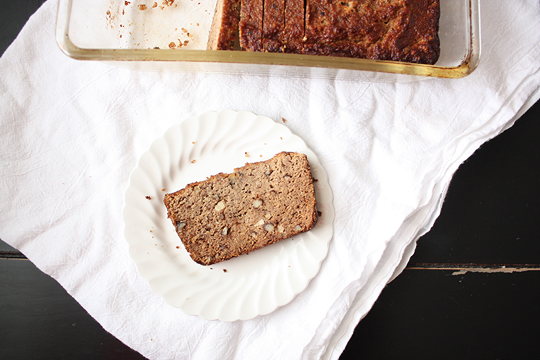 Although we can and do enjoy banana bread any time of year now (thank you, modern grocery stores!) I think it's particularly suited to the fall, don't you? It's not pumpkiny, nor is it gingerbready. But it's such a homey flavor. It must be the cinnamon and walnuts. All I know is that the other morning I found myself with a bite of banana bread, watching leaves tumble off trees, listening to the Harry Potter soundtrack, Hadley carrying crayons back and forth in the living room, the heat wafting in our house, and I felt it: FALL. I wanted to stop time. It was a quintessential fall moment. Have you felt it? Does that mean I'll be making more banana bread? Most likely. For Laura's sake. 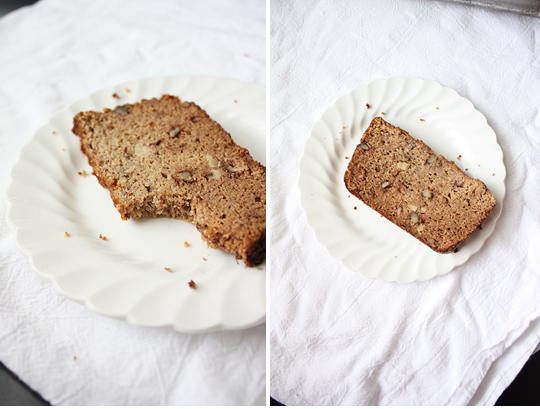 So, I was making this banana bread with coconut flour before, but I recently adapted it. and I will never go back! This new loaf is nuttier, tastier, taller, with more depth of flavor ... essentially, the best so far. I'm sure there will be other banana breads in my future, but for the time being, this one has my heart. Not only did I tweak the ingredients, but also the baking method, so pay close attention to the new trick! It's a no-brainer, but I needed to see it for myself. Set eggs out and let them come to room temp. Separate the whites into a small bowl, add salt, and whip until frothy. In a large bowl, combine mashed bananas, egg yolks, melted coconut oil, coconut milk, vinegar, honey, and vanilla. Sift together dry ingredients and blend into the wet ingredients. Stir in egg whites and walnuts and scoop batter into a greased loaf pan. 1. Cover pan with foil and bake at 350 degrees for 30 minutes. 2. Uncover, continue baking for 15-20 minutes. 3. Turn off oven, but leave the bread in for another 30 minutes to allow the middle to finish cooking. Cut a few slices to enjoy while it's still warm!! That looks really tasty! The Laura Ingalls Wilder books were some of my favorite! I love those books. I just made some apple pumpkin bread and it was so yummy. do i even need to say that i too was a huge laura ingalls fan? read & re-read. loved Farmer Boy!! i really need to buy coconut flour! Maybe I keep reading it wrong but when do you add the whites? can't wait to try this! TODAY! I read those books. And re-read them. And then re-read them. I'm thinking of starting them again later this fall. I remember Ma making them some kind of maple syrup candy and always being a little jealous. I'm also a little jealous that you have this bread at your house and I don't. I might have to remedy that! What size of baking pan, please? My recommendation is set the oven to 350 degrees. All of the Betty Crocker recipes for quick breads uses that temp. That's what I did and followed the baking time and method per this recipe and it came out PERFECT. 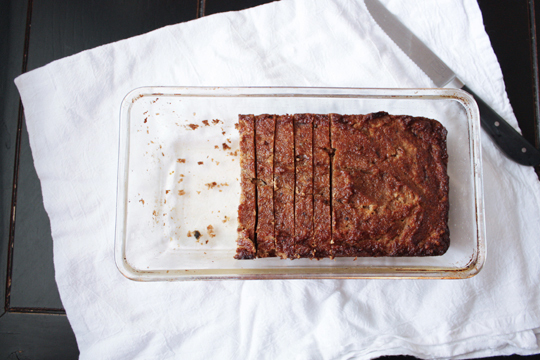 This is THE BEST banana bread using coconut flour I have tried. All the others were too gummy inside. Also I watched the size of my bananas which were large so I cut down on the number. It is helpful to be told how many cups of banana since size varies a lot and gummy banana bread is a problem. .
Just curious, what is the reason for frothing the egg whites and stirring them in last?